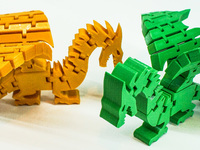 Flexy Stegosaurus by Werd119 is licensed under the Creative Commons - Attribution license. 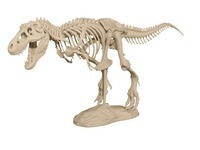 This thicc boi is in the same vein as the other flexy creatures all over the thingiverse. He just needs some support for his fins, and you're good to go! No other support or assembly needed. He's very flexy, and has a lovely tail that doesn't droop too much. supports outside of the spikes aren't necessary. Say thanks by giving Werd119 a tip and help them continue to share amazing Things with the Thingiverse community. Say thanks and help Werd119 continue to share amazing Things with the Thingiverse community. You'll need a PayPal account to tip Werd119. Click the button below and you will be redirected to PayPal. Once the payment is complete, you'll be brought back to Thingiverse.